This entry was posted on December 19, 2010 at 2:51 pm and is filed under Poland with tags Poland, Radomsko, Radomsko ghetto, Thonet-Mundus. You can follow any responses to this entry through the RSS 2.0 feed. You can leave a response, or trackback from your own site. I lead a busy, Los Angeles-centric life bearing a hard elliptical shell. It is hard to break out of or into. Louise’s blog about her trip transported me to the real Poland and to the Poland of her dreams; and to the restaurants and exhibits and plays… and the coat! thank you, Richard, for reading and responding. searching on internet pictures of Radomsko, i ve found your blog by chance. how moving to see pictures of Nathan Spiegel (2 paintings were my grandmother’s in Radomsko !). my father, Heniek Kesselman z”l survived for 28 months underground in the Radomsko’s forest. he saved 6 members of his family. unfortunately, 7 months after the end of the war, 2 poles assassinated my father’s mother and his little sister Dvorele in their own house. so, they ran away thru germany and arrived in France and in Argentina. i created a new associatio one year ago. i try to gather young children of holocaust survivors in order to give our vision of the world as antisemitism is growing again in the world (like in 1938 in germany). i think that we are in a great danger (jews and israel) and we have the duty to DO something. my members of honor are Martin Gray, Pr. Beno Gross, Avi Pazner (ex-ambassador of Israel, porte-parole of Israel). i would love to know you. i live in France. i m 36. my father was born in Radomsko in 1921. he had me when he was 54, from a second wedding. it was a great luck to have a Dad like him. he unfortunately passed away 10 years ago on Pessah night. i envy you you went to Radomsko. i still didn t have the moral strenght to go. would you like to share your feelings about this town with me ? is there any jewish life there ? I am now in Radomsko. After a bit of research, I think I have defined the boundary of the ghetto and today I will walk around it and film it. 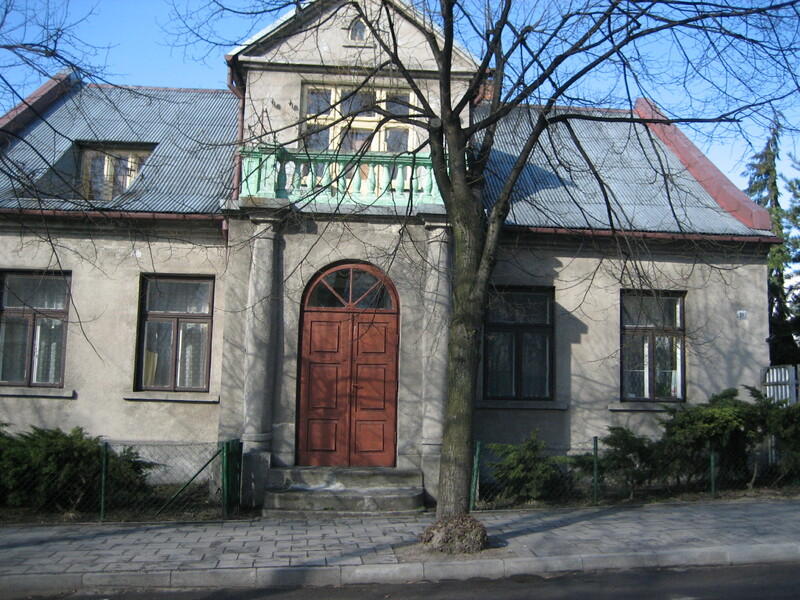 Very few houses were left standing after the deportation of 12 October 1942 although the Nazis reopened the ghetto in Novermber 1942 which was repopulated from people taken from other settlements as well as those who had fled to the countryside yet realised that they would not survive the winter. It’s been a long time since you wrote that post, but I would like to thank you for the information about this house. I’ve always wondered about its history. Funnily, I was born and live in Radomsko, I love this house, but so far I have failed to find any information about it.